After substantial reconstruction, she was used as a cadet training ship. In August 1939 she was brought back into firstline service to provide fire support for German forces invading Poland, and on 1 September her four 280mm (11in) guns fired the opening shots of World War II when she shelled the Polish fortress of Westerplatte (she was in the area on a goodwill visit. 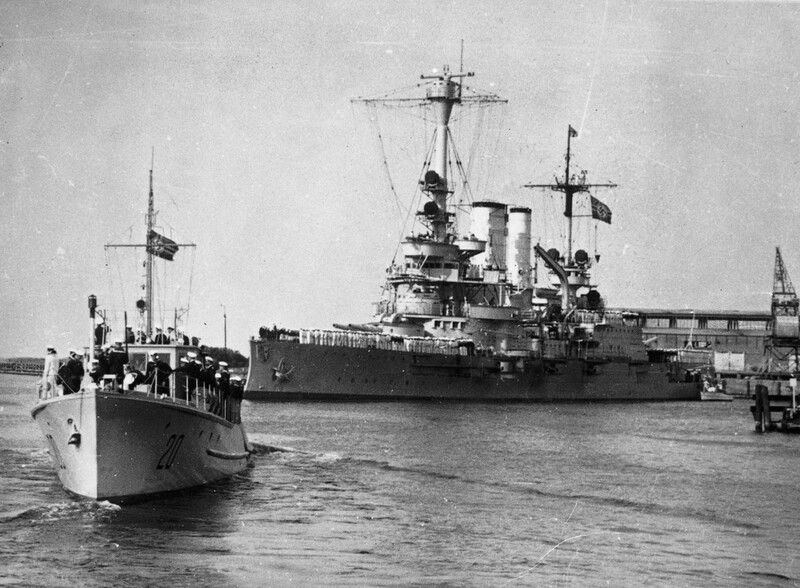 She continued the bombardment for a week, until the Polish garrison surrendered on 7 September. She later led a battle group covering troop transports in the invasion of Norway in 1940, before returning to the Baltic to reassume her role as a training vessel. On 18 December 1944 she was severely damaged in an RAF bombing raid on Gdynia, and was finally scuttled on 21 March 1945.